It is fairly well known that certain Citrix employees in the past have gone on to join or form other companies. The most obvious recent example is Myxer which has a large number of early ex-Citrix people. Things continue to go pretty well for them. What isn’t so well known is that around 1993, several key people left Citrix to be part of new companies called Fairway and NewLeaf. The people I remember going were Glen Hamblin, Greg Gruse, and Mike Hynes. I think a few more might have left but it has been too long. Back in 1993, having three people leave meant that Citrix was losing around 10 percent of its workforce. There wasn’t any hard feelings from what I could tell. At the time, Citrix was struggling and even a few people had gone back to IBM. This was around the time that I started. I had worked with Greg and Mike for several months before they moved onto this new venture. When Mike left, I got his window cubicle. The new companies were setup as a joint venture between IBM and Blockbuster Video. 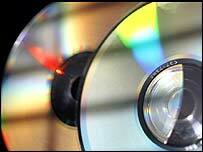 The intent was to provide CDs and tape cassettes in Blockbuster stores (with the hope of expansion) that could be recorded on demand on a kiosk. The pitch was that you could produce the stock on demand and not have to worry about inventory. Customers could also request specific tracks and only pay for what they wanted. The New York Times summarized it well in a 1993 article about the joint venture. Luckily it is still available online. Fairway/NewLeaf were created at an early time for the web and therefore there is very little coverage for it available. One of the reasons I haven’t written about this topic before is because I didn’t have any decent material on it. Perhaps my searching abilities have improved. Maybe I just got lucky this time. I also found an interesting 1993 Variety article about Fairway/NewLeaf. Later in the writeup, it first becomes obvious that there might be some resistance to doing business this way. Fairway/NewLeaf also suffered at the hands of the recording studios. In Citrix, around that time, I would hear news back from the people that had left. The hardest part was not the technology but rather getting the content from the studios. The studios were worried that they would lose control and did not trust electronic distribution. Remember, this was 1993. The venture eventually dried up once IBM/Blockbuster realized that neither the stores nor the studios were going to buy into this model. Sometimes the desire for change and a great idea is not enough. It is very interesting to note that the current iTunes/iPod frenzy is very similar in concept to what they had tried to achieve. Obviously Apple got it right and found ways to get everything to happen. DRM and the Internet had matured enough that by around 2000, things were starting to pick up. What is little understood is that sometimes an idea needs many generations of failure before it finally succeeds. I’ll leave you with a true story of my own mistake in this field. In 1984 I was a student at the University of Arizona. My roommate and I would talk about ideas and whatever from time to time. One time I told him that I thought it would be cool to have a device that could act as your own personal radio station. I was thinking of some kind CD rack that would automatically switch tracks like a radio station. I told him about how it would be great to give songs a rating and how it could pick the next song randomly based on the ratings. The ratings could be dynamic so that you could give feedback to the system so that it would know whether to play the song more or less often. I was very passionate about this idea at the time. My roommate disagreed. He thought that it was too much and that existing stuff would be fine. We left it at that. My mistake was to assume that it would be based on CDs. I also assumed that it would be fairly large. Obviously I had no idea the Internet would play a major factor as well. But perhaps my biggest mistake was not to try doing it. It would have been a fun project to work on.